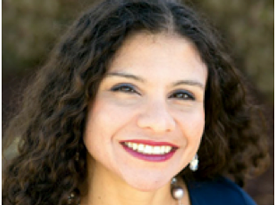 My name is Elisa Batista, and I am a proud board member of the Ecology Center. As a mom, I care about the kind of future we are creating. I want to make sure that our environment is healthy and resilient for generations to come. I can also tell you that climate change is not some mild, intangible event that’s going to take place 50 years down the line. I have family in Puerto Rico, and we are witnessing the death, devastation, and consequences of doing nothing to address climate change. Right here in California, communities are being devastated by fires. Last year it was floods, and before that, historic drought. Everyone is impacted. I am heartened that even before climate change took center stage, the Ecology Center was creating ways for people to break free from fossil fuels and their dangerous repercussions. Donations from members like you have enabled the Ecology Center to help people step closer to a post-carbon future. Climate change is the central fight of our lifetime. I hope you will join me in supporting this crucial work going forward. Climate change has become a very personal issue for me. I was raised in Miami to Cuban and Puerto Rican parents, and our family members on the islands were devastated by Hurricanes Irma and Maria. Never, in generations, has my family witnessed hurricanes with such devastating consequences. It’s going to take many years for Puerto Rico to recover. We are already seeing a disturbing pattern of mass migration from the island to the mainland of the USA. After Hurricane Katrina, tens of thousands of people left New Orleans for good. Many of those fled to Houston, only to be uprooted once again by disaster. We will continue to see climate change refugees forced out of their homes throughout the United States and the world if we do nothing to address climate change. A friend’s neighbor recently had to drop everything to fly to Texas to help their aging parents recover from Hurricane Harvey. With July’s temperatures the hottest on record and the Gulf of Mexico 7 degrees warmer than average, the conditions were primed for catastrophe. Climate change is here, now, affecting our neighbors and families. Its destructive force is our new reality. Harvey caused the uncontrolled release of 4.6 million pounds of air pollution from refineries and chemical plants across 13 counties, including known carcinogens. Toxic chemicals flowed through the floodwaters across the region. After Hurricane Katrina, fully 65% of all the recovery bonds went to the oil, gas, and petrochemical companies – those same companies that foul our air, poison our water, and warm our atmosphere and oceans with their dirty emissions. A former CEO of Shell Oil is now tasked with leading Houston’s recovery efforts, so taxpayer money will likely prop up the same industries that caused many of these problems in the first place. We must break this self-defeating cycle of disaster and environmental degradation. So, how do we do that? We have to be the change we seek. I’m inspired to do all I can for the Ecology Center, and hope that you’ll be inspired to donate or renew your membership to this phenomenal organization today. Mentoring the next generations of leaders, who will inherit the terrible challenge of climate change, through our Youth Environmental Academy. Who are the canaries in the coal mine? The California farmers who suffered through years of drought, followed by flooding. The Bay Area residents with asthma, who live around the refineries and highways, whose children get diagnosed with asthma at astonishing rates. My family in Puerto Rico, waking up to a bleak landscape of chaos and destruction. We need to take concrete steps to keep fossil fuels in the ground and plan for a changing world, or more people will lose their homes, their health, or their lives. The Ecology Center is fostering a positive and possible vision of the future, providing people with opportunities for meaningful action. Donate to the Ecology Center today, and let’s speed toward a post-carbon tomorrow! P.S. Climate change is hammering us now. But for our children, grandchildren, and the young people we cherish, climate instability will be a daunting challenge. Ask us about planned legacy giving, as a way to support this crucial work in the future. Send a note to: Give@EcologyCenter.org to learn about legacy giving. This entry was posted in Blog, Featured and tagged climate, climate action, climate change, community choice energy, extreme weather, Hurricane Harvey, Hurricane Katrina, Hurricane Maria, support Ecology Center, take action by Ecology Center. Bookmark the permalink. Thank you Elisa. I think the Ecology Center is such an important place. I am a member and have learned so much there. I am so concerned about our children’s future on this planet. Do you know about the 21 youth who are suing Trump for climate justice? The will be heard before a ninth circuit court judge on Monday Dec. 11th, 2017 in SF. I’m hoping these young people will get a lot of support. You can find out more on Our Children’s Trust website or Facebook page. hello, what a challenge we face. it would seem that all actions originate from within. therefore a clear and honest mind would be of the utmost importance. I see that people are driven by their desire for convenience and pleasure. plastic is entrenched in almost everything that we create and distribute and use. the root seems to be the use of ancient carbon deposits. rather than live in the moment, we would rather steal from the past or borrow from the future. as I read the many sites asking for financial support for their proposed solutions, I see a continued negation of reality based on cultural and intellectual rhetoric. until we work on the root of the many problems, our thought process, positive change will always allude us. of course the world is filled with cults, sects and false gurus, therefore to whom can we look for guidance? Hola Elisa! Your passion is contagious! Thank you for taking a leadership roll and supporting the good work of the Ecology Center. I’m going to become a member because I read your piece!